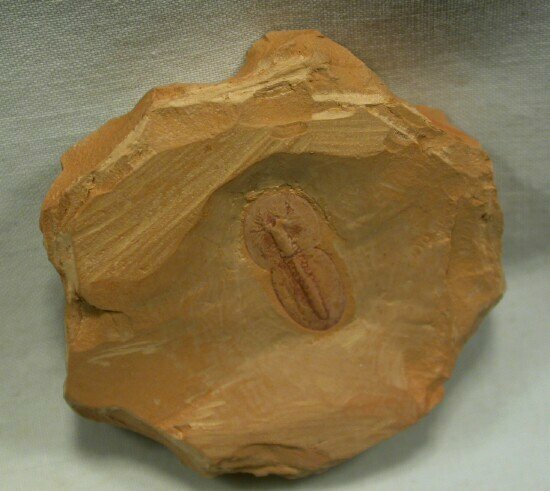 The exact taxonomic status of this arthropod is in dispute. 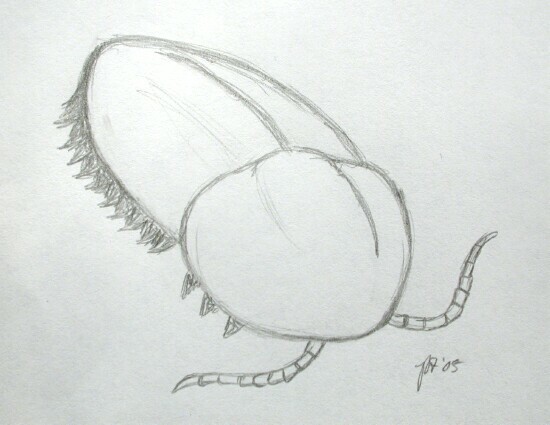 It has been termed a “trilobitomorph” by some researchers, showing their beliefs in its close affinity with the trilobites. 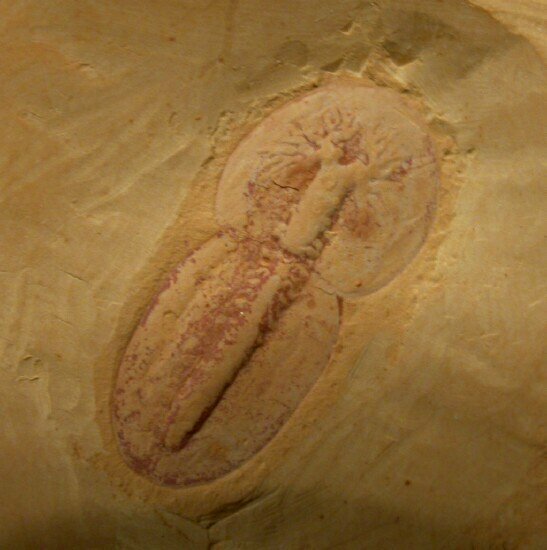 While the Trilobitoorpha was listed in the Treatise, most now consider that this subphylum is invalid, a catchall much like some of the dustbin terms used by Walcott for a number of the Burgess Shale fauna. 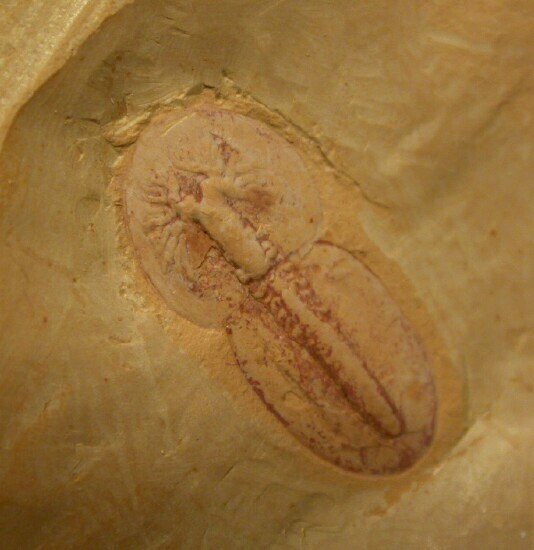 Whittington termed it a “soft-bodied trilobite”’ but that belief is not supported at present. Their similarity in appearance to the Agnostida is purely a result of convergence. Two large groupings of the Paleozoic arthropods are currently in favor: the Crustaceomorpha (which includes Waptia) and the Arachnomorpha, dominated by the trilobites. The Naraoiidae are arachnomorphs and include Misszhouia and Naraoia. 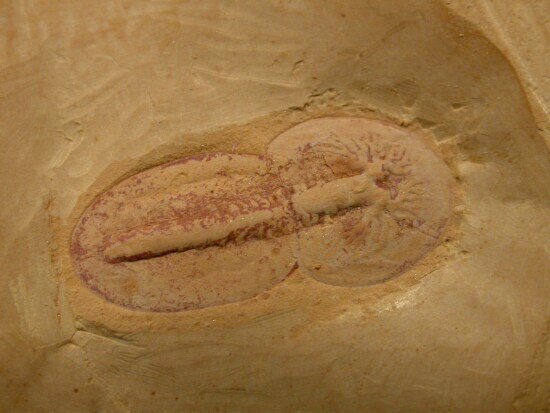 Misszhouia longicaudata was initially placed within Naraoia, but was given its own genus based upon differences between it and Naraoia compacta of the Burgess Shale. The species is one found in several locations within Yunnan Province, but this one is from the most famous location of all, Maotianshan, site of the discovery of the Chegjiang Biota by Hou Xian-guang in 1984. Indeed, it is this taxon which was first discovered at Maotianshan to start the entire cycle of research. This one shows many of the classic features of the taxon, even the diverticula and the central gut are evidence, as is the soft cuticle that betrays the outline of the body. What makes this one even more unusual is the fact that some of the internal organs have been preserved in three dimensions, rather than the typical flat specimens most often seen.